Memorials and monuments to the First World War are a familiar part of the urban landscape in former combatant countries but across the cities, towns and villages there is another element of remembrance which sometimes goes unnoticed: street names. In Australia, Belgium, Britain, Canada, France, Germany and the United States, there are avenues and boulevards which have been given the names of battles, politicians, Generals and individual soldiers. Some of these places have, through the passage of time, been forgotten. However, these names bear testimony to the way in which individuals, groups and societies during the war and in its aftermath sought to remember the war. Cambrai Avenue, Chichester, United Kingdom. The naming of streets, plazas, squares and stations after military heroes or famous victories has been a feature of the modern world. With the rise of nation states, the valorization of martial achievement through monument building or naming served as a key part in cementing a cultural and political identity for the populace. Indeed, the history of the nineteenth century can be read through the names that were given to the public places across Europe and North America. This process was continued with the outbreak of the First World War in August 1914 and was used to mark the cessation of hostilities after November 1918. In the decades that followed, the names associated with the war have been neglected, forgotten of perhaps conjured up such images of waste, pity and disillusionment that this significant local, national and international history and legacy of the conflict has been overlooked. By connecting this geography of remembrance we can consider how the war altered people and places around the world. A similar process occurred in France, where in 1914 it was stated that in Romilly-sur-Seine had been granted permission to alter the name of the Avenue D’Allemagne and Rue de Berlin to Jean Jaurès and Rue de Liège respectively. The former commemorated the socialist leader assassinated a few months earlier who opposed the war but whose death led to domestic political truce within France, L’union sacrée. However, in the aftermath of the conflict, around the world, the names of the battles, generals and soldiers of the war began to be commemorated. With the promise to build more homes in Britain after the war, there was plenty of opportunity for an ‘Arras Avenue, Ypres Street, Foch Road, Haig Place, Plumer Terrace’. [vi] In the United States, from major cities to small towns, the war was commemorated in street names. As such, in Alexandria, Louisiana, an Argonne Boulevard adjoins a Versailles Boulevard. In Norfolk, Virginia, an Argonne Avenue is parallel to a Verdun Avenue and a Marne Avenue. 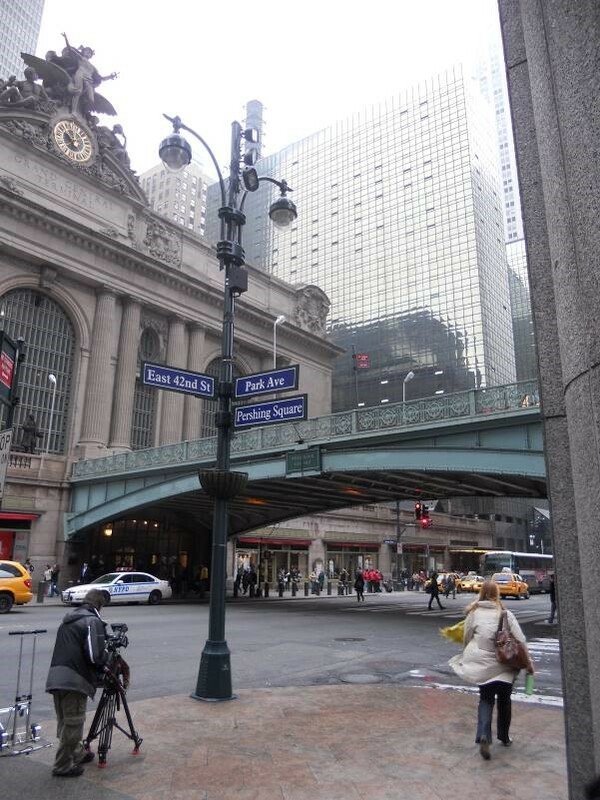 Whilst in New York, Pershing Square next to Grand Central Station which was named in 1919, is one of many sites in the nation that are named after General John J. Pershing (1860-1948). In Canada, new avenues and old streets were given the name of Vimy whilst the grand but unrealized replanning of Toronto in 1929 was given the title ‘Vimy Circle’. In Australia, New Zealand and South Africa, Gallipoli, Somme and Delville are attached to roads and streets. Pershing Square. New York. United States. In Regensburg, Germany, there is a Verdunstraße, a Sommestraße, an Arrasstraße, an Erbprinz-Franz-Joseph-Straße and a Prinz-Rupprecht-Straße. In Liège, Belgium, the war is commemorated with a Rue Joffre. In France, Strasbourg has a Rue d’Ypres, a Rue del’Yser, a Rue de Saint-Quentin, a Rue d’Arras and a Boulevard de la Marne. In the naming of streets, the grand ideals met the humble acts of remembrance. Whilst national and local authorities suggested names of Generals and battles, individuals and communities requested more personal associations. Across New York, streets were named for soldiers of the United States Army. Henshaw Street, Staff Street, Daniels Street and Dyckman Street in Inwood, Manhattan, were renamed after soldiers from that area. The Manhattan approach to Washington Bridge was renamed McNally Square, after a soldier and son of a policeman of the city who had died in France. Similarly, in West Harlem, a single block from 126th Street from old Manhattan Street to Claremont Avenue was named Moylan Place after Private William Moylan, 42nd Division, who died in 1918 and was buried in France. By the late 1920s, attitudes to the war had begun to shift and the spate of street naming had begun to reduce. The war had taken on a less victorious air as the realities of the post-war world ensured that the war was looked upon with a sense of tragedy. This can be seen in the case of Hull, where residents apparently petitioned the local authority to have Kemmel Avenue renamed. The naming of streets enabled groups to feel connected to the war as the battles were ongoing and to honour the service and sacrifice of the dead in the immediate aftermath. Whilst names may have been chosen by governments and officials there are accounts of individual and personal acts of remembrance. 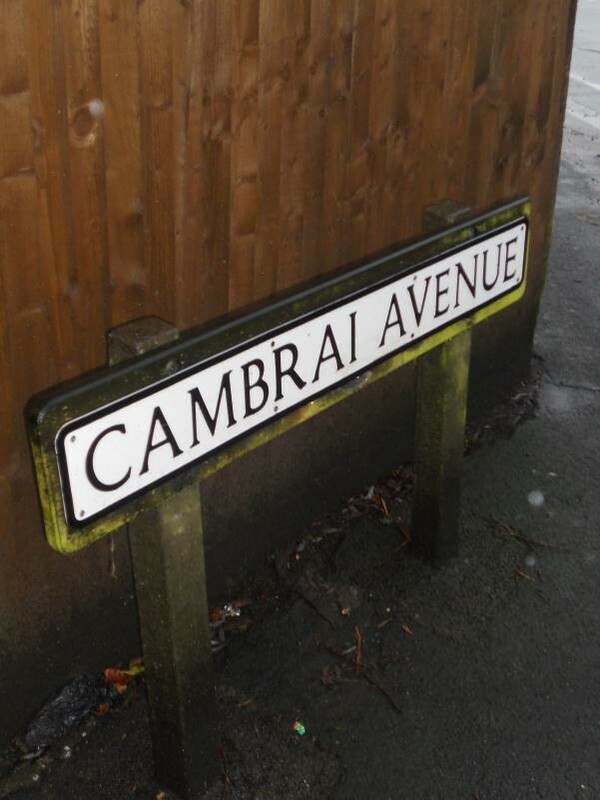 In Chichester, a builder who oversaw the development of new housing in the 1930s was said to have named the street ‘Cambrai Avenue’ after a brother who was killed in the battle. Street names connect us to the local, national and international history of the war and remind us how the war altered the lives of individuals across the world. There are more names and associations to find in this history and it offers us the chance to connect to places both near and far whose names all recall the First World War. [iv] Why not Marne Avenue? Walsall Observer, and South Staffordshire Chronicle, July 24 1915. [v] Street Names (German). House of Commons Debate, 5 November 1918, vol.110 c1922. 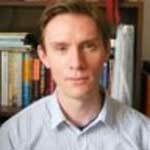 This entry was posted in The Memory of War and tagged Commemoration, First World War, Historical geography, Memory, politics of memory, World War One. Bookmark the permalink.